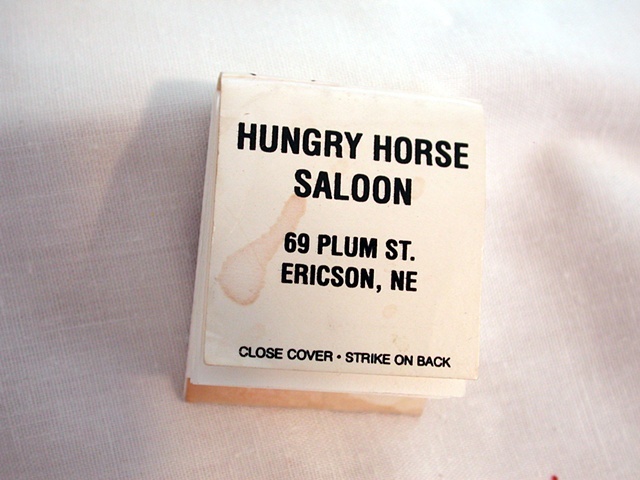 Finally we arrive at the Hungry Horse Saloon to have some coffee. Owner Frank turns out to be an ex-bull rider, and has an adventurous and colorful past. This is etched into his scarred and weathered face. Time for taking pictures; Frank and family, Rocky, Charla and I gather underneath the stuffed head of an enormous bull. Frank then subjects me to a barrage of questions about ceramics, what do I make and what am I going to do with it? Later in the car Rocky gives me the whole family history, including alcoholism, bull riding, broken bones and spleens removed.